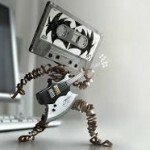 Forum | Hard Rock/Metal/Alternative | Has it leaked? This forum contains 2 topics and 2 replies, and was last updated by Zach 2 years, 2 months ago. What has been your best/most interesting show experience?